On Sale! Almost sold out. 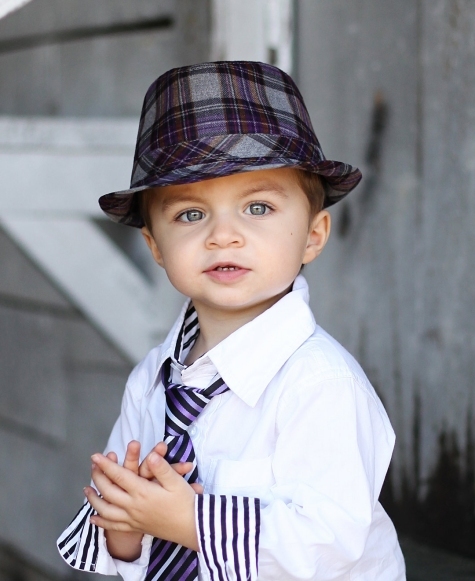 The trending style fedora in a purple plaid is super cool - in all ways! It is made of a cotton-poly blend. The plaid colors are purple, black and gray. Spot clean. 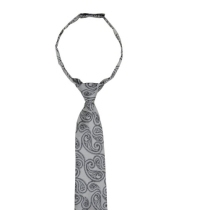 The model shown is wearing this fedora, a purple striped tie and the white button-down shirt with black stripe cuffs. See related items below. 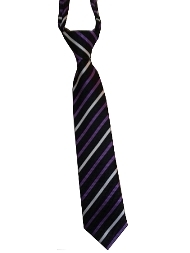 Purple & White Striped Zipper Ties - 12 in.